They will help keep an eye on the infrastructure connected to Eastern Messoyakha, the northernmost oil field on the Russian mainland. Oil company Messoyakhaneftegaz wants better control over the 485 km long pipeline that leads to its Eastern Messoyakha field and now starts testing with drone flights in the area. «We have tested the accuracy of the visual control and the ability of the drone to sufficiently well determine the site of damaged equipment,» says company representative Pavel Zakurdayev. «Considering the results, we have decoded to start applying drones in the Messoyakha,» he adds. The drone testing has included photo and video coverage, as well as 3D visualization. It will help us increase security, environmental control and economic efficiency in development of the local oil and condensate industry, the company informs. The Eastern Messoyakha field is located in the Gydan Peninsula at 68 degrees north, and is the northernmost oil field on the Russian mainland. It holds more than 470 million tons of extractable oil and 188 billion cubic meters of natural gas. It is connected with the 485 km long new Zapolyarye-Purne pipeline, an object built and owned by Transneft, the state-owned oil pipeline company. The project operator, a joint venture of Rosneft and Gazprom-Neft, is in the process of developing also the West Messoyakha. Infrastructure in the Russian Arctic is increasingly under pressure from climate change and the melting of the permafrost. According the latest Russian climate report from the Roshydromet institute, all measuring points in the country’s European parts of the Arctic in 2017 saw a shrinking of the permafrost layer by about 10 cm. 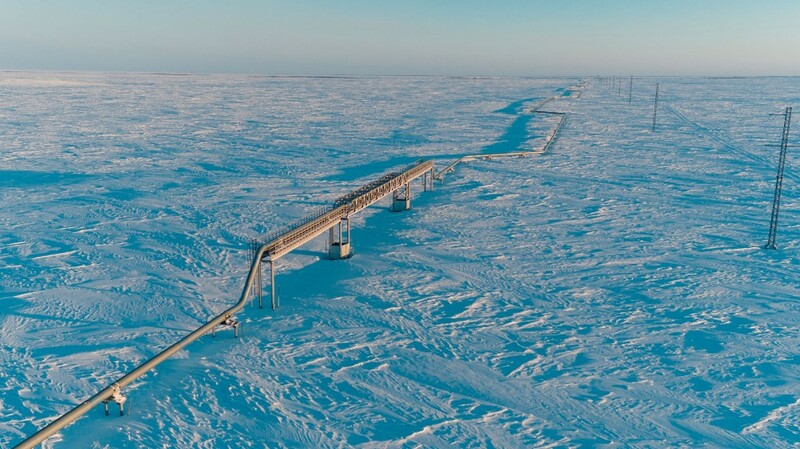 On several places including in the Pechora River delta and in the area of Nadym, a key oil-producing town, the researchers found a shrinking of the permafrost layer by more than 30 cm. Consequences for the worst affected areas can be dramatic, the state agency on meteorology and environmental monitoring warns. All kinds of infrastructure, including roads, pipelines, buildings and industrial plants can loose functionality as the ground’s ability to carry the weight dwindles and a string of destructive processes sets inn.